Don’t routinely use sentinel node biopsy in clinically node negative women ≥70 years of age with hormone receptor positive invasive breast cancer. Hormonal therapy is standard for all patients with hormone receptor positive disease. The omission of sentinel lymph node biopsy in clinically node negative women ≥70 years of age treated with hormonal therapy does not result in increased rates of locoregional recurrence and does not impact breast cancer mortality. Patients ≥ 70 years of with early stage hormone receptor positive breast cancer and no palpable axillary lymph nodes can be safely treated without axillary staging. The Society of Surgical Oncology (SSO) maintains disease site workgroups (DSWGs) to represent the various disease sites associated with surgical oncology. The DSWGs are comprised of experts in the following disease sites: gastrointestinal, melanoma/sarcoma, breast, hepatobiliary, endocrine/head & neck and colorectal. The SSO Quality Committee initiated the Choosing Wisely measure development process by asking the DSWGs to identify tests or procedures commonly used in their respective areas of expertise whose necessity should be questioned and discussed. The Quality Committee received submissions from all six disease sites; however, because the list was limited to five measures, the Committee felt it was precluded from incorporating measures representing all disease sites. 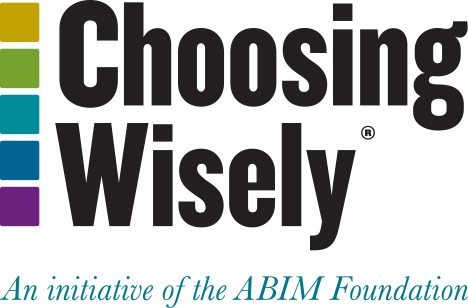 As a means of refining the list of Choosing Wisely measures, the Quality Committee elected to include the five measures impacting the largest number of patients. The draft list was reduced significantly – eliminating the endocrine, hepatobiliary, and sarcoma measures. The five measures were selected from the breast, colorectal and melanoma sets. These five measures were submitted to and approved by the SSO Executive Council. Hughes KS, Schnaper LA, Bellon JR, Cirrincione CT, Berry DA, McCormick B, Muss HB, Smith BL, Hudis CA, Winer EP, Wood WC. Lumpectomy plus tamoxifen with or without irradiation in women age 70 years or older with early breast cancer: long-term follow-up of CALGB 9343. J Clin Oncol 2013 Jul 1;31(19):2382-7. Martelli G, Miceli R, Daidone MG, Vetrella G, Cerrotta AM, Piromalli D, Agresti R. Axillary dissection versus no axillary dissection in elderly patients with breast cancer and no palpable axillary nodes: results after 15 years of follow-up. Ann Surg Oncol. 2011 Jan;18(1):125–33.